Finding Parking on Parade Day can be a challenge. We encourage people to use public transportation as much as possible on parade day to avoid parking issues. The information below is here to assist you in finding parking. Free Lyft ride credits for 2019 - Don't drive impaired! Stop by 17th Street and Wynkoop Street along the parade route to sign The Heat Is Green pledge car and receive a code for a free $10 Lyft ride credit. Stay safe and never drive impaired! Learn more at HeatIsOnColorado.com. 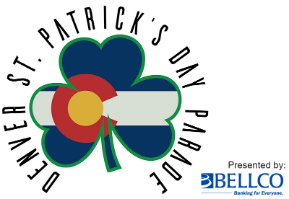 The Coors Field parking structure will be available for parking on Parade Day, March 16, 2019. The gate at 27th & Blake will open at 7:00 A.M. and will be closed at 9:00 A.M. This will be the only access point to be able to park in the structure. The parking structure will be open to Parade participants and spectators alike this year. No entry allowed entry before 7:00 A.M. or after 9:00 A.M. The parking structure is available on a first come, first serve with no reservations available. There is no fee. The Parade Marshals will direct you to where you will be allowed to park. After you have enjoyed the Parade, you will exit Coors Field parking lot “B” via of the 33rd St. exit. We average around 300K people attending the parade every year, so if you want to avoid the issues with traffic and parking we encourage you to arrive early. The Parade starts at 9:30 am. Close in parking places often fill up an hour before the parade starts. The farther out you park the easier it is to find a spot, you may have to rely on public transportation to get to the parade route. Some of the restaurants, pubs and bars have special early bird activities such as an Irish breakfast special or an activity that will give you a place to stay while waiting for the parade. Check our activity calendar and sponsor page for dates and times. Some people arrive as early as 5 am and stake out a spot on the parade route and have their own pre-parade "tailgate" party. If you want to do this please ensure you follow local city and state regulations concerning such activities. 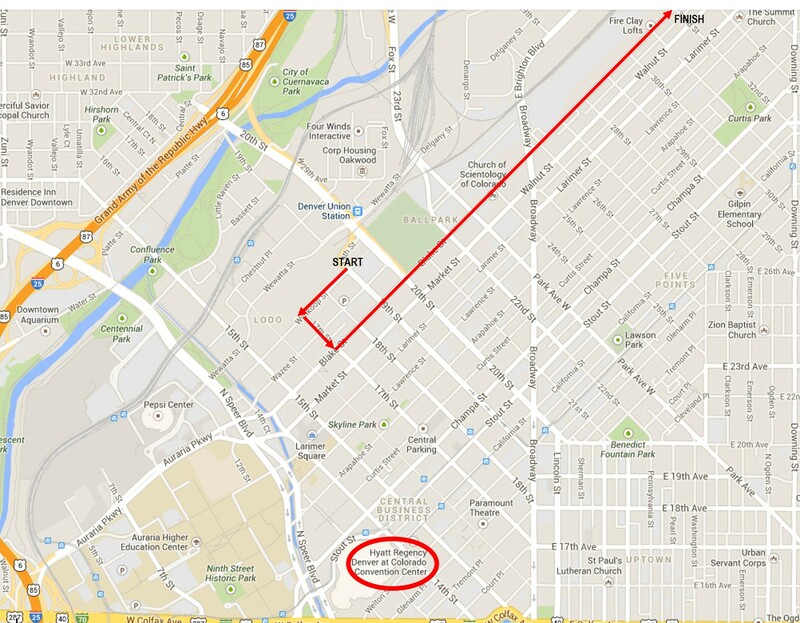 The Map below shows the parade route in red and surrounding areas. You can use the parking Planners listed at the right to find parking. To buy prepaid parking tickets visit Parking Panda, the nationwide leader in online parking reservations, to allow visitors to purchase guaranteed parking passes at several lots and garages next to the parade. Simply present your parking pass at the selected location, and this guarantees you access to your selected location. Inventory is limited and garages will fill up before the event, so it is strongly recommended that you purchase Parking Passes for St. Patrick's Day Parade in advance if driving. 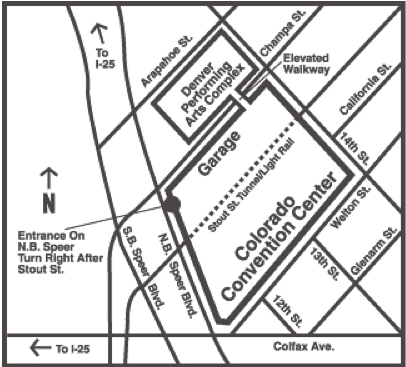 The Colorado Convention Center provides access to a 1,000 space onsite covered parking garage. The garage is open 24 hours a day, 7 days a week to ALL visitors and guests attending ANY event or business in the downtown area. The map for Convention Center Parking is below. The Convention center parking is highlighted on our map, it is a little over 1/2 mile from the closest part of the parade route or a 15 min walk. You can take public transportation from this site or walk 2 blocks and take the 16th Street Mall Free ride to Blake Street.